BY SUE ERWIN – Doug Wilson, ABC Sports producer and director, will be giving a presentation “A Journey Thru the Golden Age of Sports Television” at 5 p.m. on Wednesday, March 2 at the Boca Grande Community Center auditorium. 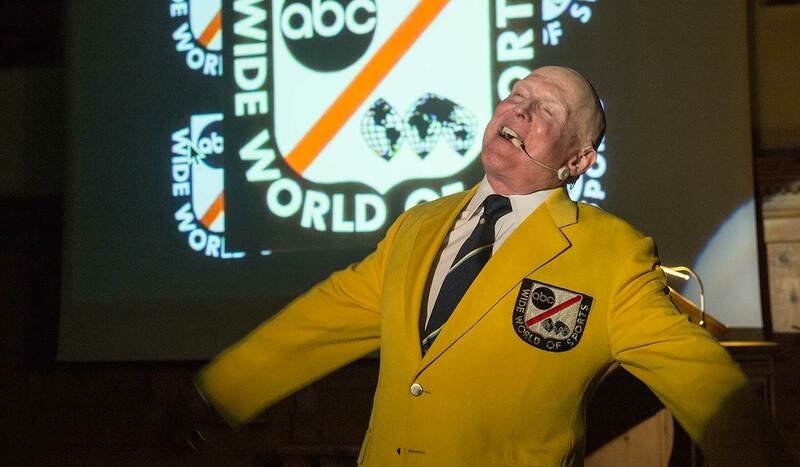 Wilson will be recounting his incredible 50-year journey with ABC Sports that spanned 10 Olympic games and 51 different sports on five continents. After graduating from Colgate University, Wilson aspired to be an actor and performer, but found out quickly that it was extremely challenging to break into that field. “I was very active in theater, but there were very few opportunities, so I found a job as an NBC Page in 1957,” he said. Upon return from his service, he learned the position at NBC was still available. “But the problem was I had just gotten married and I told them I could no longer live on $49 a week,” Wilson said. He was then recruited by ABC and worked for several years as a Production Assistant holding cue cards for Chevrolet commercials. “I became immediately enraptured with television,” he said. Soon, he was promoted to a director and then a sports producer at the station. As a member of the ABC Sports and Wide World of Sports production teams, Doug covered events ranging from figure skating in Beijing to wrist wrestling in Petaluma to Grand Prix auto racing in Monaco. Doug’s masterful storytelling and video clips take his audiences “up close and personal” into an incredible era of sports and world history. Doug credits his wife, Betsy, for the success of his show. “She is my producer, my director and my agent,” he said. This will be the first time Doug will be visiting Boca Grande. “I have been wanting to see the island for more than 30 years,” he said. A friend who lives on the island suggested that he schedule a performance here.